Wisconsin Governor Scott Walker (R) is moving ahead with his plan to make his state the first to drug test able-bodied adults applying for food stamps. This plan was implemented almost two years ago in 2015 but was rejected by then President Barrack Obama. In December of 2016, Walker asked then President-Elect Donald Trump to make clear the distinction between State and Federal Jurisdiction over this matter and to make it permissible for states to have full control of lawmaking when it comes to welfare recipients. To date, no statements have been made by President Donald Trump, or the Trump Administration proceeding the matter. Spokesman Tom Evenson said the Governor believes the state can proceed without any federal action. Governor Scott Walker quoted “Our position is we have the authority to implement the rule,”. Walker approved a rule change to implement the screening and sent it to the legislature for review Monday. Governor Scott Walker approved the rule change to the current food assistance application to implement the drug screening and sent it in for legislation review on Monday, December 4th. Legislation will then have 4 months to make a decision, and if the rule stands may still take up to a year to begin the testing process. Under this new law, food stamp recipients, who are childless, or do not have custody of a child, who fail a drug test would be illegible for state assistance but would be eligible for state-funded rehabilitation treatment if they don’t have any other way to pay for it. The Walker administration estimated that a small fraction of the program’s applicants 220, or 0.3 percent, of the 67,400 applicants a year actually would test positive for drugs. It is estimated by The Walker Administration that a small percentage of the program’s applicants, .03%, 220 people, out of the 67,400 applications submitted each year, would actually test positive for drugs. However, with the Opioid Crisis playing such a crucial role in America today, any one person able to receive treatment for addiction could possibly change the statistics of Americans who suffer from substance abuse. 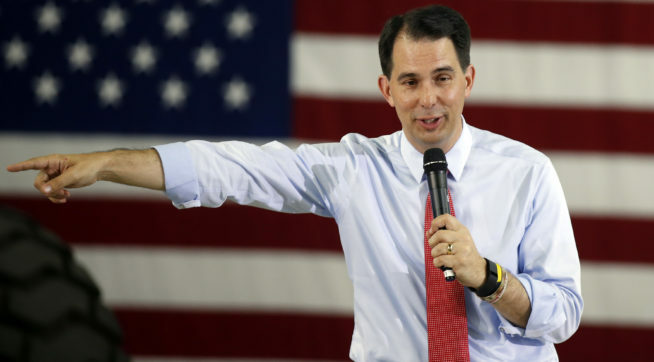 Governor Walker feels that implementing the drug testing program would reciprocate in providing Wisconsin with more drug-free workers in the workplace. Florida had a drug test requirement for food stamp recipients that a federal appeals court blocked in 2014, finding it violated constitutional protections against unreasonable searches. Other states have tried to implement a drug testing program for food stamp recipients. In 2014, Florida had passed a drug testing requirement, however federal court appeals blocked it and deemed it unconstitutional due to the fact it violated protections of unreasonable searches. In 2016, along with Governor Walker, 11 other Governors asked the Federal Government for permission implement drug testing for food stamp recipients.